Flour produced at a General Mills plant in Kansas City, Mo. 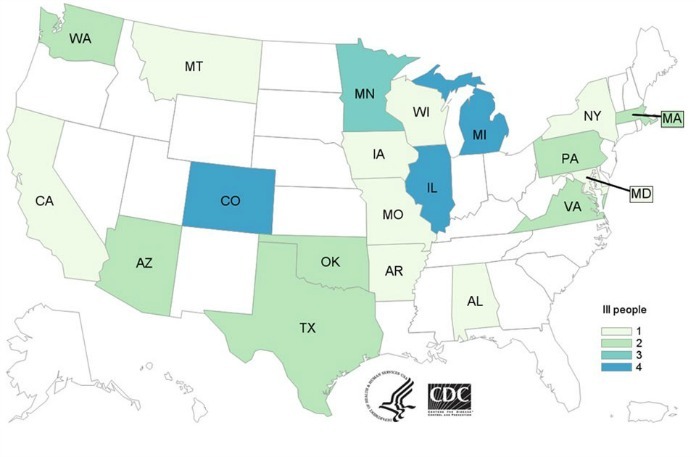 is the likely source of a 20-state E. coli O121 outbreak, according to the Centers for Disease Control and Prevention (CDC). The outbreak, which hospitalized 10 people, triggered a 10 million-pound recall. The recalled flours were sold under the brand names Gold Medal Flour, Gold Medal Wondra Flour, and Signature Kitchens Flour. Consumers who have purchased these products should not use them as E. coli can cause serious illness and death. E. coli symptoms usually develop between two and five days of exposure but can appear within 24 hours or take as long as 10 days to develop. They include stomach cramps and diarrhea, that is sometimes bloody. Sometimes these symptoms, which last about a week, are accompanied by a low-grade fever. Anyone who ate the recalled flour and developed theses symptoms should see a doctor and mention exposure to E. coli. Young children, seniors and those with compromised immune systems are at greatest risk of infection and for associated complications such as hemolytic uremic syndrome (HUS), which cause kidney failure and death. None of the case patients in this outbreak have developed HUS. The CDC is working with the U.S. Food and Drug Administration (FDA) and state health officials on an investigation of the outbreak. Using PulseNet, the national subtyping network of public health labs, they have identified 38 cases with genetic fingerprints that are closely related. The case count by state is as follows: Alabama(1), Arkansas (1), Arizona (2), California (1), Colorado (4), Iowa (1), Illinois (4), Massachusetts (2), Maryland (1), Michigan (4), Minnesota (3), Missouri (1), Montana (1), New York (1), Oklahoma (2), Pennsylvania (2), Texas (2), Virginia (2), Washington (2) and Wisconsin (1). The illnesses were reported from December 21, 2015 to May 3, 2016. Seventy eight percent of the case patients, who range in age from 1 year to 95, are female. When asked about food histories, 16 of the 21 people interviewed by health investigators reported that they or someone in their household used flour in the week before they became ill. Nine reported eating or tasting raw homemade dough or batter, 12 named Gold Medal brand flour, and three reported eating or playing with raw dough at restaurants. “E. coli from uncooked flour is a risk most people aren’t aware of,” said food safety attorney Ryan Osterholm. Using package information collected from the homes of those sickened and records from restaurants where ill people were exposed to raw dough, a traceback investigation indicated that flour produced at General Mills’ Kansas City, Missouri facility is a likely source of this outbreak. The flour indicated was produced during one week in November 2015. The CDC advises that uncooked dough or batter should not be eaten as it poses a health risk. “When people think of the risks associated with eating cookie dough, Salmonella from raw eggs is what probably comes to mind. And that is risk, but there have also been E. coli outbreaks linked to uncooked dough where eggs were not the suspected source. 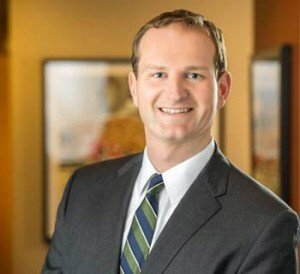 E. coli from uncooked flour is a risk most people aren’t aware of ” said Ryan Osterholm, an attorney with a food safety law firm in Minneapolis that has represented clients in two previous outbreaks linked to contaminated dough, Pizza Ranch and prepackaged cookie dough.